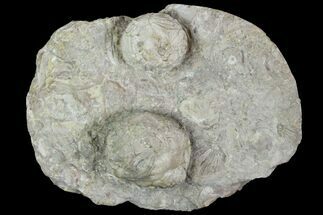 This is a nice example of the Silurian aged cystoid, Holocystites from the Osgood Shale of Indiana. 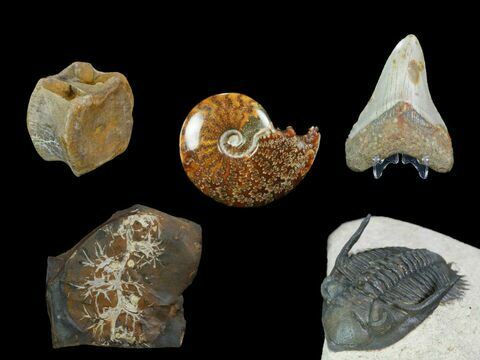 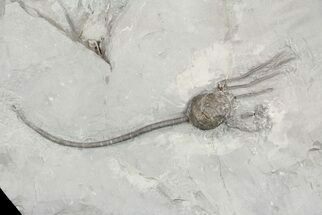 Cystoid are an extinct echinoderm (same Phylum as starfish, urchins, etc) that attached themselves to the see floor by stalks. 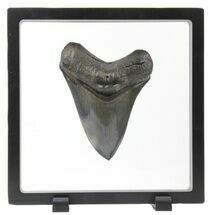 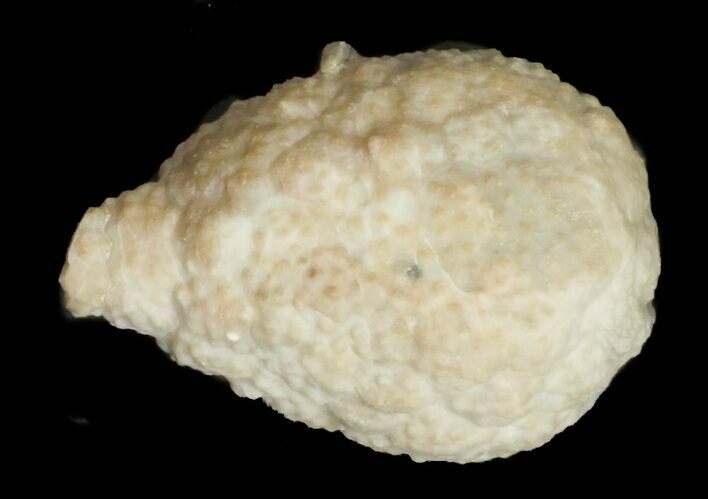 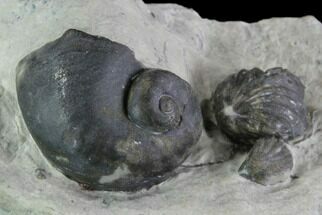 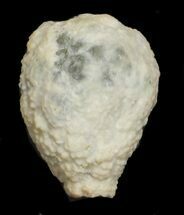 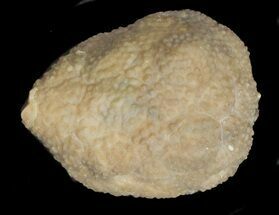 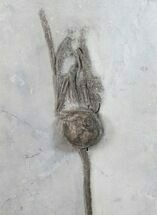 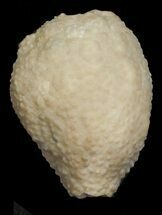 This specimen is fairly 3D and free of the surrounding rock.